As we all know there is various easy and simple software available which will let us to a bootable pendrive easily. We can mention some software that is widely use, that are Win 32 Disk Imager, UNetBootin, Rufus, etc. But sometimes they can’t get the things done when you really want them to or sometimes you don’t have them. 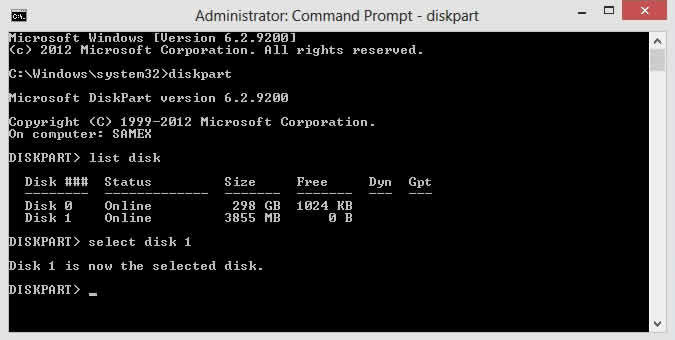 So, here we are going to learn how to create bootable pendrive using cmd(windows command prompt). How to Boot from Bootable Pendrive? Sometimes bootable pendrive is also referred to as bootable USB. It is a disk that can boot up your computer if you don’t have any operating system. i.e. a standalone storage which can boot up your computer. Also, note that you can only create bootable pendrive for Windows Vista and later (7/8/8.1/10) using the command prompt. If you are looking to make bootable pendrive for Windows XP or any Linux Distribution, you will have to use third party tools. i) Press Windows + X and select Command Prompt(Admin). ii) Open start menu, search cmd, right click and click run as administrator. iii) Open task manager, click on file -> new task, tick Create this task with administrator privileges, type cmd and hit enter. Connect your pendrive to your computer. Type list disk and press enter. This will list all the storage device available on your computer. Type clean and press enter. This will erase all data from your pendrive. 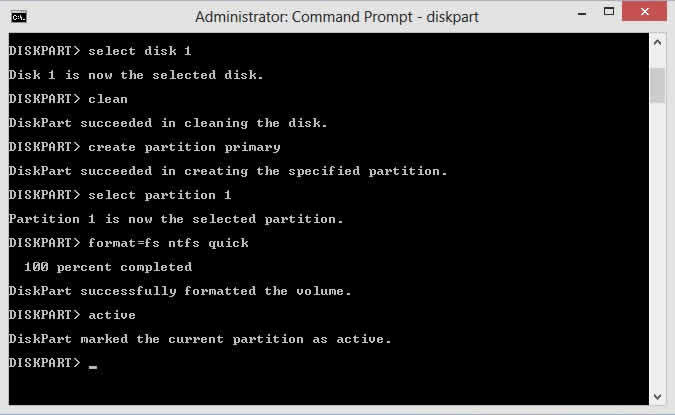 Type select partition 1 and press enter. This will choose the partition we just created. Type active and press enter. This will mark your primary partition as active. 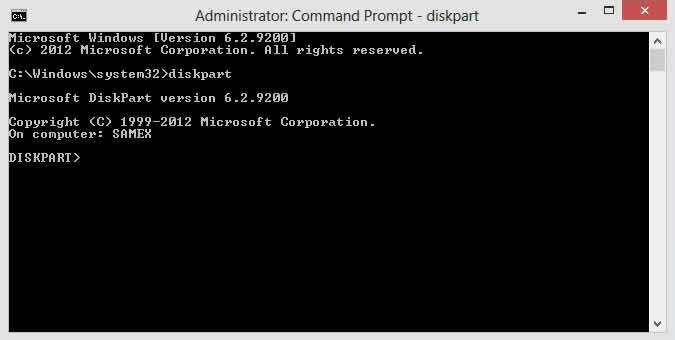 Type exit and press enter to exit disk part and then close the command prompt. Now copy all the data from Windows installation disk to your pendrive. Now your pendrive is bootable having desired windows installation. When your computer starts after powered on. Some function key (Generally F8/F12) is used to go into boot device selection. Just make sure to insert the pendrive before powering on the computer and select your drive. We hope that we’ve cleared up any doubts you had regarding creating bootable pendrive and also booting it. Yes, Rufus is the best tool that I have come across till now. However, this is the post on creating bootable Pendrive with the help of command prompt on Windows computer that’s why we have not mentioned it here. In future, we will create a dedicated post on best bootable USB Pendrive tools. Stay tuned!